I loooove it when I get to hang out with the Our Daily Bread design team! Today they are showcasing the new releases for May in a blog hop. If you're a regular reader of my blog and just happened upon my section of the hop, you may want to start back at the beginning. Prizes are involved!! The ODBD Blog is the place to get started - actually you'll start and end the hop there, and if you should happen to get lost or interrupted in between, you can always go there for a complete list of links in the correct order. If you came to my blog from Betty's blog, you are doing just fine. When you see me playing along, you know that I've had a part in the new release...... this month, these designs are my contributions! There is a texture plate that matches the background, too - this was the first one I've gotten to play with, and I love it! I have sweet memories of living in the South during our training, and those special front porch visits, and also love curling up in a cozy, quiet place with my Bible and a cup of coffee - those times of refreshment, just me and the Lord, are such a source of encouragement and strength. Card details: I stamped the porch image on watercolor paper, and started off watercoloring it... by the time I finished coloring, I had used watercolor pencils, Prismacolor pencils, chalk inks, and Graphitint pencils to get the effect that I wanted - sort of an eclectic mix! I used a glaze pen on the windows, too. For the background, I spritzed a piece of textured paper with reinkers/water, then stamped over the paper after it was dry (I misted the stamp before stamping it, for a little bleeding and better coverage) and sponged the edges. I had a little extra spritzed paper so I layered that inside the card. The flowers are from another of my sets called Don't Worry - they're also spritzed and watercolored with reinkers. I shaped them with the wooden end of my embossing stylus, and the smaller flowers are propped up with a little roll of foam tape. There is Flower Soft in the centers (Nut Brown and Ultrafine Sand). I used the texture plate on the lighter brown panel - that doesn't show well in the picture. * Return to the ODBD Blog, and tell us you completed the hop, answer the question they have for you there, and let us know if there were any blogs you could not comment on. My blog is the last stop on the hop, so if you've left comments for all the other designers, leave me a comment here (I have my comment moderation turned on because I'll be sleeping while you hop... don't panic if your comment doesn't show up right away!! ), then hop on back to the ODBD Blog and let us know! Thanks for visiting me today! Soooo gorgeous Dina! Love the soft blues and browns...and love the Don't Worry set with it!!! So glad you could hop along with us today and showcase your lovely sets!!! fabulous creation with awesome flowers and colours! This is such a gorgeous project. The colors, the background, the everything make it perfect. thanks for another great set, Dina! your card is beautiful and love the added Don't Worry flowers!! This stamp set is so beautifully designed Dina!! I just love this porch and your coloring on your creation and the addition of the flowers is gorgeous. Beautiful colors and design. Have a great Sunday!! Fabulous. I love the addition of the chickory and the colors are beautiful. i like the softly-colored porch scene and the colors you used. thank you for sharing. What a lovely card, beautiful soft colors from your watercoloring, and the flowers next to the sentiment sure do tie it all together. Love the inside. Blessings. These are great! Love the soft colors...the blue daisies just makes the card pop!! Love the soft colors - and the blue. The daisies just make the card pop! Well, I'm sold. I am going to have to order the porch scene. Gorgeous card! Love the softness of your color scheme! Beautifully done! You have created an absolutely beautiful set. Thank you! It is a must have. Oh my goodness this is such a wonderful work of art. The aqua and soft browns look gorgeous together. Beautiful card and love the colors and flowers too. Thanks for sharing. This card is stunning. Your colouring is wonderful. 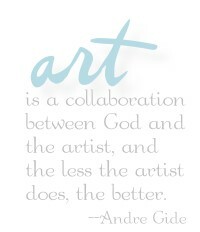 I love your art quote at the side of your blog, its so true. The harder I try the worse things turn out. When I let the art just happen, it all goes so much better. oh so pretty - thanks for sharing. Your card is just beautiful. I have to admire you for using watercoloring. I make a mess when I try that. Love the colors. This is so beautiful Dina! The flowers look amazing, love the way you inked the background with brown and blue. This is beautiful.Love the blues and browns together. This ia beautiful...love the blues and browns together. I love this stamp set you designed!!! I also loved how you created with it!! Just beautiful!!! The flowers really set this off. Color combination is very nice. These are wonderful Dina! Really like the stamps and the cards you made with them. WOnderful! Great work - love the flowers! Loved the soft look of the card and the color. Beautiful card, love how you incorporated both of the ODB stamps together. What a beautiful card. Loved all the techniques and colors. The spritz inside was something I would have never considered. Looks gorgeous all around. Loved the textures. The coloring is outstanding. The color combination is wonderful. I love the colors you used in creating this card. It is beautiful! How pretty your cards are! very cute card. i love the softness of the color used. Absolutely gorgeous card, Dina! I love your color palette...so soft and lovely! Thanks so much for the inspiration, and for a chance to win a GC from ODBD!!! I just love this porch and your choice of browns and blues is genius! Tku for sharing your creativity. I love the neutral colors with the splash of blue. It's very effective. The flowers echo and intensify this. Well done. I love your use of colors. This card is breath taking. Thank you for sharing. Love the colors you used and the flower embellishments. What a great design, too. You are so creative! Beautiful! The colors you chose just glow with warmth! What fun to see a set you envisioned coming to life under the talented hands of the design team! What a fantastic set you have designed. Your card really shows them off beautifully. Thanks for sharing your process to get such a beautiful scene. Everything works together perfectly. there is that border again!!! :O) beautiful card!!!! Beautiful, Dina! I really love this porch set and I love the flowers and colors you used. Wonderful job! Wow, your coloring is amazing. I love the soft hues. I love that you made your own paper with the spritz. The colors are stunning and the card is just beautiful! This is a stunning card Dina. I love that Porch stamp. The colors you used are amazing. Beautiful card, love the colors and your flowers. This card is so beautiful. I love the flowers matching the cushions. Really pretty. you used to get the colors you wanted. I also have the don't worry set and what a unique way to use it. First let me tell you I love these new sets you've created - thank you. Your card is stunning - such a gorgeous colour combo and very soothing. Those flowers are beautiful. This is my favorite of the blog hop. Great job. What a soft delicate card!! Thanks! I love your card. The flowers add the perfect touch. Oh my! Beautiful card - those flowers are amazing! gorgeous card!!! love the colors and the flowers also! Beautiful Dina!! I love the sets you designed and how you combined them here using the flowers too. Beautiful, warm, soft colors, love the blue flowers bringing out the blues in your porch and background. Love your colors and background. That porch is very inviting! 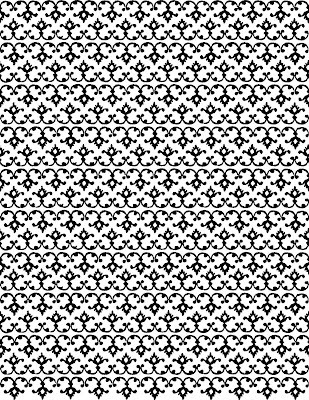 Don't you just love making your own backgrounds and papers? Beautiful card. I love your card. The colors are perfect! What a gorgeous card! Love the color combo and the outdoorsy feel of it. Thank you Dina, what a lovely card. I really like this stamp set from ODBD. Thank you so much for sharing. Brown and blue are so soothing. I like what you did with the whole card. Nice job. Wonderful job on your card! Love the colors together. Love the soft colors...and a great idea to use the glaze pen on the windows! Love the colors and the flowers are great. How beautiful. I would love to have my daily devotions on that porch. Love the way the flowers match the cushions too! Dina, we have a wonderful porch and there is nothing better than sitting on the porch. We aren't in the south, so our weather is just starting to be porch "sitting" weather. I love the flowers, the borders, and the embossing folder as well! I love the brown and blue combo. A very relaxing card. Wonderful - what a work of art! Dina, I just love your colors. Love the vintage look. Thank you for your beautiful card. Wow!!!! The flowers are a perfect accompaniment and the colors are fantastic. Color combination is wonderful. Love the watercoloring too. I absolutely love blue and brown together. Such a soft combination, so soothing. I love it! Wow! This is really, really nice! I love the colors, the distressed look...all of it! Dina - Love what you designed this month. So talented and lovely. you've sold me, love your card! Beautiful! I love the softness of the stamping on the watercolor papers. And this set is amazing. My favorite of the release. Your card using your new Porch stamp is very beautiful. The colors are so soft and comforting! I love it when you hang out with us too Dina!!! And I love this gorgeous set you have created!!! Your card is so beautiful and serene! LOVE it!!! So very gorgeous. Love the colors, the background, everything about it. what a spectacular, dreamy card!!!!!! That color combo is awesome-gotta try it! What beautiful soft colors. Love the aqua and brown together. Well done. Great work. So elegant, regal and gorgeous. I love this stamp set it is a must have. Looking forward to obtaining it. Thanks for the great work and sharing it. This is beautiful work. I love all the different techniques and colors you used. Thanks for sharing with us! The added touch of flowers give your card that special look. Very soft and pretty with blue and brown. thanks for sharing. I LOVE the background stamp. It's gorgeous! Thank you for sharing! Great set--very pretty colors and I like the flowers. Your cards amaze me. Your new designs are wonderful. Absolutely just gorgeous and wow I love the flowers!!!! Nice card, soft color choices. Wish I could use watercolors this well, maybe I need more practice :) I'll be back another time to see all on your blog since this is the 1st time I've visited. Thank-you for sharing! Blessings to you! Very lovely card. I really like your color combinations and the mixing of inks. Loved the colors you used - makes the porch set look so springlike. The flowers were perfect for the card. Thanks for sharing. What a beautiful card!! I love the softness and the color scheme! Thanks also for showing us the "interior decorating." Very pretty card.. colors are great! So delicate and soft. Love it. Love the blue and brown colors. Pretty card. LOVE, love love your combination here! You did a wonderful job!! Wow! Your choice of colors and the background is fantastic! Your love of the Word shows in the verses you picked for this set. Thank you so much! Ahhhh, blues and browns, my favorite color scheme. This card rocks. Way to finish the hop. Gorgeous work. I really like the colors you chose, very pretty. These are so beautiful and the porch set is my fave! I had to laugh at the name of your blog because my Mum (we used to call her Mama when were little) is named Dina. I love your designs. The colors you chose to use on your card are very soothing. The fact that you are the last stop on the hop is so awesome so I could put a face to the creator of such a wonderful set of stamps and texture plate. Beautiful. Blues and browns make such a statement. Thanks for sharing. I love the soft colors you used. And your background is wonderful! You have a great set. This is so pretty. I love this new set and you did a great job using it. The background is stunning and those blue flowers accent the image just perfectly. Thanks for joining us today. Your set is a beauty Dina and I love the card you made with it! This is so sweet. I love the bright pop of blue on the browns. What an artist to combine all the different mediums to achieve your desired effect. The blue flowers in front are just the icing on the cake. All these new things are just beautiful, can't wait to see everything! So soft and pretty! Great job! Oh WOW! You card is so striking! Thanks so much for designing this set. It is awesome! So lovely, the added blue flowers just framed your stamp so pretty. I'm loving the colors of this card. It has a calming effect to it. Nice card, love the blue color. This is so soft and dreamy looking. Very pretty. Beautiful. Love the soft affect. This is beautiful!! Thanks for sharing and thanks for the design! Oh my...this is so soft and pretty! I love adding texture! Great card! Beautiful card! 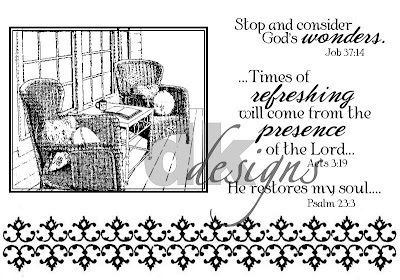 This stamp set has been used so many amazingly ways to inspire me to grab my Bible and a cup of tea and snuggle up with God on this rainy day! Thank you for sharing your amazing talents and creating such wonderful stamps! Love these soft colors and the entire card is inspiring. Would love to have that porch too! Thanks so much! I appreciate how you gave the recipe. This is just about the only way I learn different tips and suggestions. What you have created here is breathtaking! I especially love how you incorporated the left over spritz sheet to the inside for an addition elegant touch. wow!!! what a gorgeous card! love this new set you designed! Love the colors and texture of your card. Thanks for sharing your inspiring designs. Dina! Why did you show me this set! I just bought it! :o) Lovely memories and card! i was raised in the south as a young girl and i have so loved your front porch design. it is so reminescent of my childhood at my great-grandmother's home in georgia. My, what a pretty card...love the color combo!! Dina, your coloring is just lovely--what a great mix of mediums! And the flowers . . . those flowers just *make* the card, love them! Dina, I love the colors you've chosen! Thanks for sharing your artwork today. You create the most beautiful sets for ODBD and so glad you joined us for this month's hop!! Can't wait to see what you have next up your sleeve!! Blessings to you!!! Dina, how stunning. I love the colors and find them so comforting and welcoming. What a beautiful card. the colours are so pretty. love the fresh colors, truly a beautiful card!! Oh Wow!! I love your card, the colors are wonderful and the flowers are perfect!! Gorgeous job!! It is like they saved the best for last! Every card offered today was wonderful in its own right, but this is PERFECT. I grew up in Virginia and this stamp set captures a quiet aesthetic that brings back memories of my youth. I absolutely love your card! The blue flowers just make the card pop! Love your watercoloring..very soothing & soft! This card is beautiful! I love the background you created, and the flowers are soo pretty. I do love that those colors, and they have been very popular on this hop. Oh your soft colors make this card so perfect! Love the inside of your card too. 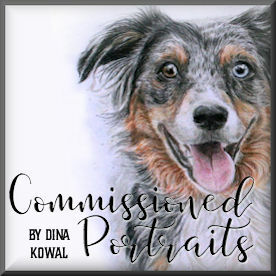 Wow, Dina--you are so creative and talented! I love these sets as well as the "Don't Worry" set...that is one of my other favorites ever! I love your porch set, and will explain why in my answer at the end of the blog. Now, I'd like to chat about your card! It is wonderful...and I LOVE how you shared tips with me...the less creative and talented one. I seem to need to be taught everything! So, thank you! I love the total look of this card! I love the mixture of colors in the background over the Vintage stamped image. The colors remind me of the beach...which is one of the places I like to go and sit on a porch and think of His Majestic Ways...He created that ocean! I think of His love. It is there that I truly am refreshed for I am in His presence and still. I love the Scriptures that go with this...they really represent my awe of Him. I am still so amazed that He chose to open my eyes to see the truth...I "stop and consider God's wonder" about that all of the time! The Vintage borders remind me of the fences they have in Savannah and Charleston...they are iron gates and fences, and have the points on the top...and the symbol of the pineapple means welcome...if I look very closely at this stamp...the center resembles a pineapple. I just love these together. Thank you for creating them for my favorite stamp company, and for making such an amazing card! And the card has a simple beauty! How gorgeous, I love the soft colors and the flowers. I also like how you did the inside of the card also. I love your use of the stamps and color scheme. Great job. Beautiful color combination and card! The sum total is fabulous! Lovely! I really like the colors you used and the stamp set! Such pretty colors, and the flowers look so real. You did a great job. Thanks for the inspiration! Girl - God has gifted you with an abundance of talent! GORGEOUS work!! !